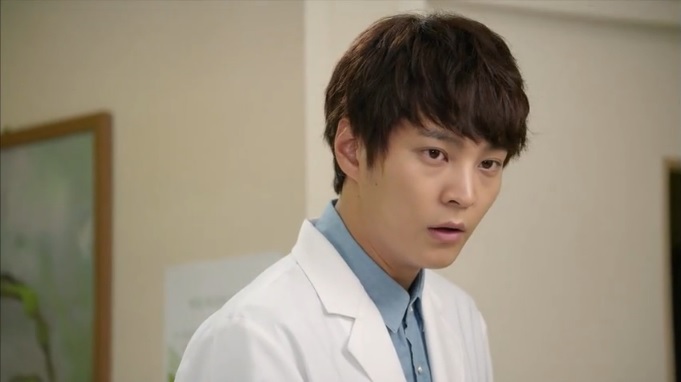 Joo Won is on a roll for me. I'm probably one of 5 people that actually liked Level 7 Civil Servant (though admittedly I stopped at about episode 10), but that drama really showed me his capacity to go cute and sweet-natured, free of his popular (?) aggressive, shrieky, violent roles of past. 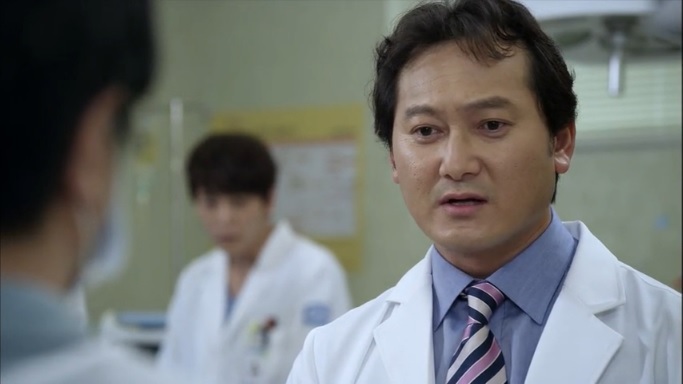 He's kept up the positive turn and raised it about 10 notches for the innocent, intriguingly immature hero in Good Doctor. Combined with Moon Chae Won, one of my favorite Kdrama actresses as the leading lady, this drama now has me fully invested, though I do hope they start toning down the angst and dramatics. I know next to nothing about autism, so that's probably a major reason why I'm not questioning the characterization too much. What I see from the hero so far is also so likable that I'm willing to suspend disbelief and just go with it. He acts like a kid, but I don't feel squicked out when I see him with Moon Chae Won's senior resident. It's largely because we're dealing with two undeniably compatible, age-appropriate actors who are turning in all-around charming performances. The love line has me invested solely because I'm curious to see how this will play out. The heroine's got huge obstacles to deal with in terms of somehow falling for a guy who's alternately a textbook and a five-year-old. I'm also curious how they handle his in-love transformation - will he mature (I hope not), or will the upcoming jealousy and angst scenes be played with a large dose of immaturity and innocence? I'm really looking forward to what's ahead. Moon's back to playing an upbeat but intelligent role - thank god. Her steeliness in Nice Guy was great, but her turn as an unrealistically lovelorn amnesiac fell far short. Her role here reminds me quite a bit of her part in Take Care of the Young Lady, but hopefully this one will display a bit more depth. Second-lead guy is driving me up a wall of frustration though. I think he's the second-lead guy from Giant, no? Well, I see his assholery, stiff-faced shoutiness hasn't changed from then. It's a combination of neck-wringingly annoying writing and over-exuberant, chaotic acting. We get he's a petty but turmoiled prick. I don't need the continued bald-faced yelling, the squinty glare of hate, and that perpetual scowl. Give us something to work with, please? If he's going to make me feel anything other than the desire to stab him, especially once he starts romancing Moon Chae Won, I need the actor to tone the hell down and the character to stop being an anger-management needing time bomb. That brings me to my biggest concern with this drama. The plot is just borderline makjang at times. Too many capital BAD guys mucking with the GOOD characters. Seriously, if a hospital was managed by people like that, the lawsuits alone would have driven them out of business years ago, not to even talk about being the supposed "Number 1." 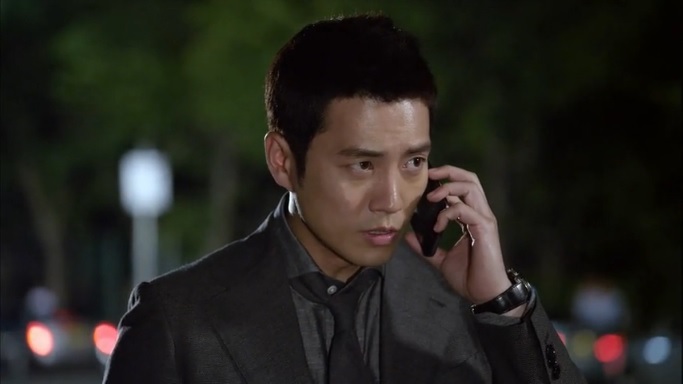 It also makes the story feel like a rehash of all the other underdog kdramas of years past. We have a hero who's continually overlooked and doubted even though he's always right, which frustrates me to no end even if it does keep me glued to the screen. I'm also still confused by how the love rectangle will play out. I thought Moon was dating second-lead when she received the call from him at the IV bar, but that doesn't seem to be the case yet. So he's slowly going to start liking her, to the chagrin of the fiancee? I already don't like where that's going. Despite my frustrations, I really like the drama overall and am excited to see where it goes. If they pull it off, it should definitely be one of the least conventional pairings in dramadom.